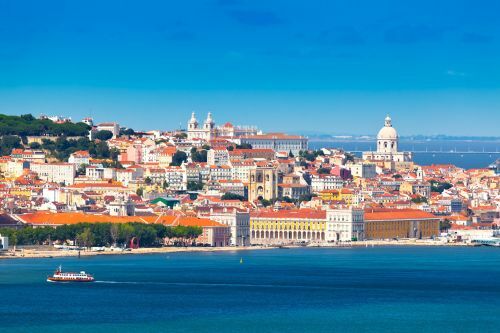 There are some really unusual airfare prices showing on certain dates in September 2015 from Edmonton to Lisbon, Portugal (LIS) at the moment, flying with Lufthansa. The typical best price on this route is around $1000 with taxes. September is also an ideal month to visit Portugal, with average highs of about 26C, and after the annual European summer tourist rush. Similar to the warning I sent out for the Barcelona flights, some of the legs of the flights may be operated by Air Canada Rouge (cramped seats, bring your own entertainment) instead of Lufthansa, so be aware of that. You can check for this by clicking on 'Show details' in Kayak. If you substitute one of the following cities on Kayak using the same dates, you can also currently find some nice prices in the mid $700s. It could also be worth trying flexible dates in Kayak on other dates in September 2015, and in May 2015. For live discussion of this deal, or to get some amazing travel advice from over 8,300 travel junkies in Edmonton, join us in the YEG Deals Facebook Group. edmonton, yeg, flight deals, europe, southern europe, western europe, northern europe, central europe, lufthansa, spain, barcelona, bcn, lisbon, portugal, nordic countries, scandinavia, denmark, cph, germany, munich, muc, madrid, mad, air canada rouge, lis and copenhagen.